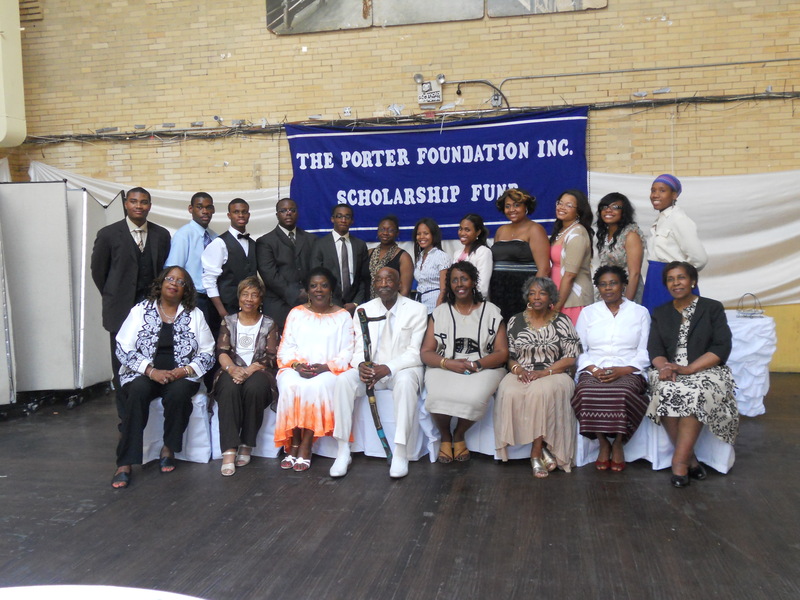 The Porter Foundation annually awards grants, scholarships and financial assistance to students, institutions and organizations that characterize the lifework of the Porters, among the East Coast’s most successful entrepreneur families and staunch community advocates. 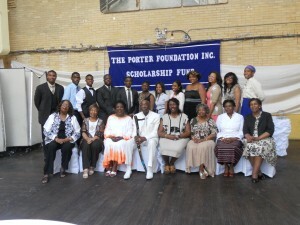 “We are proud to work for our rising community stars, and we will continue building the networks and supporting the bridges that connect them to the future.” said the Porter Foundation Board members, seated left to right: Paula Holmes, Principal, Dr. Susan B. McKinney H.S. 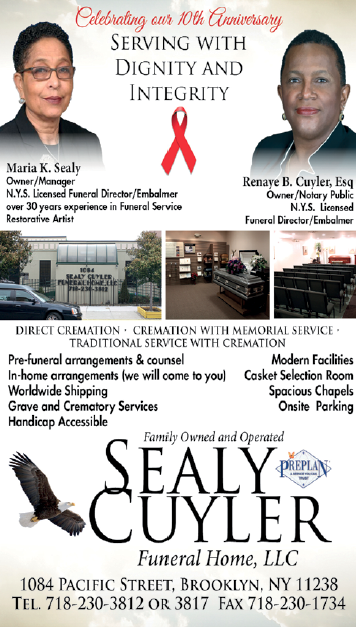 ; Fannie Porter, retired NYCDOE Principal; Ollie McClean, Founder/Director, Sankofa International Academy; Alfred Porter, Sr., CEO/President of the Porter Foundation; Doris Porter, Vice President; Katherine Payton; Eulene Inniss, retired NYCDOE Principal; and Eleanor Ashhurst. Some H.S. awardees (standing) include in alpha order: Saidat Aderkanbi, Jamel Frayer, Isaiah Frection, Noel Haye, Ayana Hill, Fatyana Hughes, Messiwa Inman, Anthony M. Padgett, Breanda Padgett, Diamond Rollins, Talla Russell, and Sabongile Touré.